Stay connected while you’re visiting Malaysia! Just head over to DiGi – the one-stop center for all your mobile needs. DiGi Telecommunications is one of the leading mobile service provider in Malaysia, offering you a variety of the latest gadgets and the best mobile & Internet plans in town. 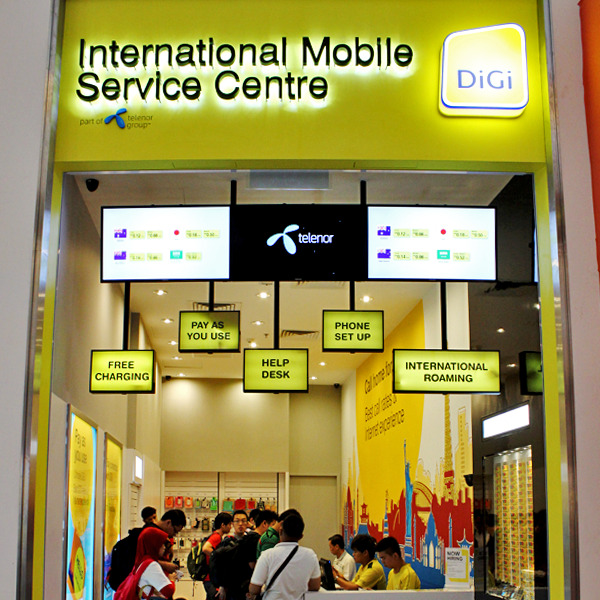 DiGi is all about helping you make the smarter choice and with our friendly and professional services, we’ll help you to get what you need to make your visit in Malaysia more convenient and easy.